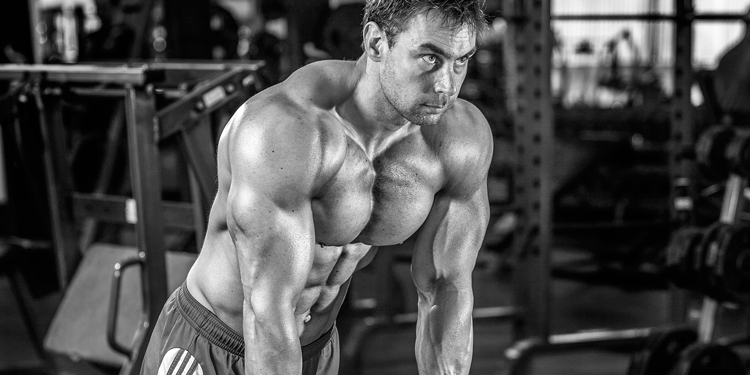 THE FAT BURNING ZONE-FACT OR FICTION? >When it comes to cardio, or any advice in the fitness/personal training industry in NYC, it is really a case of the blind leading the blind. Statements that have no scientific background are being regurgitated without regard to their validity.Case in point, the fat burning zone. Before I slay that dragon, let me make a bold statement. When dieting, the main job of training is not to create a caloric deficit, but to preserve the muscle, aka make sure the metabolism does not collapse. Weight training is one of the most efficient ways to build/maintain muscle, therefore it is more important than anything else. Now, cardio is not useless, because it is a way to burn some extra calories after we made sure all that beautiful looking muscle does not get burned off.Now, on to the main course, cardio and the fat burning zone. On a lot of cardio equipment, you find cool and colorful graphs telling you which heart rate you should be in for cardiovascular or fat burning training. The rate is usually determined by subtracting your age from 200 beats per minute for cardio and using 60% of that number for maximum fat loss. The logic behind it is that training at a lesser intensity will use primarily fat for energy, while training at a higher intensity uses glycogen (carbohydrates). Sounds great and seems very scientific, but it is not accurate! The body’s energy system is too complex to be fooled by a simple number of heartbeats. The only time when you burn fats exclusively is when you are asleep. The drawback is that when you sleep you are not terribly active, so your overall energy consumption is low. During all other times your body uses fat, protein, and carbohydrates for energy. It is true that during low-intensity cardio more calories are derived from fat than during high intensity interval training (HIIT), but the overall number of calories burned is also much lower.As a result, you would still be better off performing interval training, especially since excess post-exercise consumption (EPOC) or oxygen debt is much higher with high-intensity than with low-intensity cardio. This is called the “after burn effect” – it accounts for another 50 calories burned in the 25 hours after the cardio session, which doesn’t seem like a lot, but it can be for athletes who are already very lean and for whom every little bit counts. So, is low intensity cardio useless? No, there are instances when it is perfect: after a workout with weights. After training with weights, your glycogen stores are depleted and there are more free-form, fatty acids in your bloodstream. Low to medium-intensity cardio is a good way to burn them off. Since most people can perform medium intensity cardio for a longer period of time than HIIT, they end up buring the same number of calories. My advice is to chose according to your personal preference. If you are pressed for time, perform HIIT cardio. If you have the time and your resistance workouts are already very demanding, stick with medium intensity cardio. Also, don’t fall for the myth that it takes 20 minutes for the body to start tapping into the fat storage. Energy production is a 24 hour cycle; there is no switch your body turns on after 20 minutes to burn fat for energy. What matters is the overall intake versus the overall energy expenditure or in layman’s terms: move more, eat less. Yes, that is correct: any type of fat loss starts in the kitchen (sorry I had to throw that in there). So the next time someone tries to sell you a fat burning workout, smile and walk away. DO NOT engage as these people are immune to reason! Previous post: What I learned in 10 years of training clients or do not make the same mistakes!